Carter Distribution 3PL is focused on small to medium sized businesses that demand the strongest commitment to accuracy in inventory management, order fulfillment, and customer experience. We are committed to flawless-fulfillment. Carter Distribution specializes in the fulfillment of food stuffs, supplements, raw goods, and any item that requires guaranteed temperature control. We are the only e-commerce fulfillment center in Utah providing guaranteed temperature control. Flawless-Fulfillment is a pursuit to provide the highest level of accuracy, inventory management and customer experience possible to you. A true partnership requires listening, evaluating, anaylizing and proposing solutions that do not just meet the obejctive of the service provider; rather a true partnership demands a solution that is integral, and fulfilling to both the provider and the customer. Flexibility is a big part of this, and we find that our competition isn't always so flexible. Carter Distribution provides both B2B (retail) and B2C 3PL order fulfillment. Whether you sell on Amazon.com, your own website, or through traditional marketing channels, Carter Distribution will provide you better fulfillment service at a cost that makes sense to your business. Whether it is dry goods, or temperature sensitive, we will provide the highest quality fulfillment in the industry. Carter Distribution kits thousands of items every week, from cosmetics to food products, all with an expertise in regulation compliance with the FDA and USDA, and with a focus on CGMP and HACCP programs. We provide Julian code printing, LOT code printing, box building & design, sample testing and retention, heat shrink, heat bag sealing, kitting of various types, bottle testing, and more. Carter Distribution is a registered For Hire carrier providing local and over the road transportation. 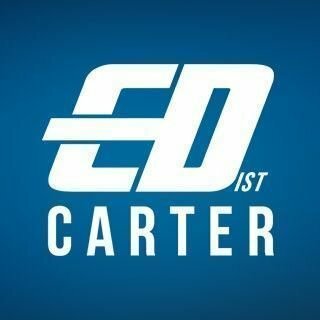 Carter also has an in-house freight brokerage to meet the needs that we cannot cover on our own equipment, and Carter is a Freight Forwarder, providing end to end global transportation, including local delivery. Carter Distribution provides tenured supply chain logistics expertise to your benefit, without the markup of a traditional 3PL. Carter Distribution provides custom solutions to protect your heat sensitive packages, such as chocolates, candies, protein powders, gummy vitamins, and more. We provide various solutions to your temperature sensitive needs. Contact us for further discussion. We have shipped more than 150,000 temperature controlled packages, and we prefer the most innovative technology to provide peace of mind that your package will arrive in the best condition. We have teamed up with Cold Pack, the inventors of the Coolest Box, that maximize space and cooling protection for your products!